I've probably said it before but Nicholas Sparks inspires me in so many ways. I love his books, the one's I've read. I like the way he writes and tells his stories. I love his characters and the way the plots unfold. I think he's an awesome author, every book leaves you with something and every story is very special. All the books I've read make me cry every time I read them, no matter how many times I've read them. Everything he puts into his stories, I can imagine he has to do a lot of research for every detail and experience. Even though this book has more than two points of view and you get to see the lives of the main characters from each of their perspective, it is very easy to read. You don't get lost in the book and it just feels like you're talking to your friends, they each have their stories and lives and neither of them is less important. The characters are just like us, they have their flaws, they're not perfect and they are all so different from each other you'll find one you can relate to. But throughout the story you see them change, realize their mistakes and consequences that it brought to everyone around them as well as themselves. You get to like and hate some of them but when you learn what they go through, it's easier to see that in this life there are a lot of people that go through similar situations. I think there are a lot of things we can get from this book. The way the characters experience love, not just romantically but as a family as well. Friendship and loyalty, what will you do for your friends and when does it become a matter of right or wrong. Kindness to strangers, friends and acquaintances, even when you don't get anything in return. Forgiveness. "At times, even he admitted that he'd been more an observer of the world than a participant in it, and in moments of painful honesy, he sometimes believed he was a failure in all that was important." "How far would you go to protect a friend?" "You deserve that in your life, for nothing is more fulfilling than love itself." "You need to learn how to forgive." I loved this book too! I can't remember if I read the book or watched the movie first but I guess it doesn't matter because they both were two different, amazing experiences! Definitely one of my favorites! 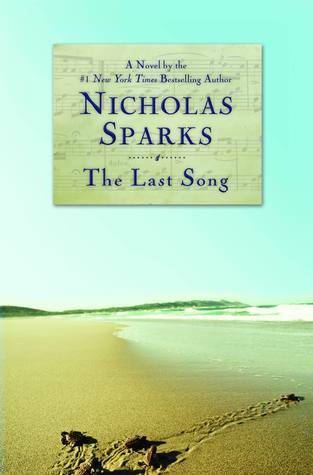 I watched the movie first, that's how I found out it was a Nicholas Spark's book. I usually end up hating the movie if it's the other way around. I can't remember how different the movie is though, I might have blocked it.